Last month, Microsoft released a KnowledgeBase article regarding BitLocker Network Unlock. Basically, Windows 8-based and Windows Server 2012-based client computers sometimes may not receive or use the Network Unlock Protector feature, depending on whether the client receives unrelated BOOTP replies from a DHCP server or WDS server. Last week, Microsoft published a new KnowledgeBase article detailing two issues with the way (virtual) Smart Card login is displayed on the Windows 8 and Windows Server 2012 logon screen. The article contains a hotfix to address the issues. Last week, Microsoft issued KnowledgeBase Article 2849027, discussing that Internet Explorer security-related preferences are silently applied to targeted computers, without any indication this is happening. A while ago, I wrote a blogpost on the requirements you’d need to meet to take advantage of Active Directory features in Windows Server 2003 through Windows Server 2008 R2. 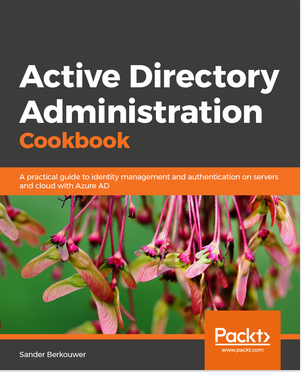 Since Windows Server 2012 was released almost a year ago, it’s time to look at the requirements for Active Directory features in Windows Server 2012.